Many of my ACT software clients use QuickBooks to track their business finances. ACT helps you sell and QuickBooks helps you track and manage your sales. The best thing about QuickBooks is that you do not have to be an accountant or financial professional to use it very effectively. In fact, I tell all of my clients that QuickBooks is great because you learn by doing. When I teach my students about QuickBooks, I give them tasks to complete that will take them down the road to becoming a successful QuickBooks user. For example, you make a sale you then have to invoice your customer. Creating an invoice is the first step in working with QuickBooks. When you get paid and you have to record that payment. Eventually, you have to deposit the money you received into a bank account of some type. When I teach you QuickBooks I will do it by guiding you through the steps required to effectively run your business in the end result will be that you are very comfortable with QuickBooks. Setup, technical issues, error messages, customization questions & everyday use questions. Act Pro, Act Premium, Act Premium Cloud for the Web or Act's new subscription service? I can answer all your questions about act. 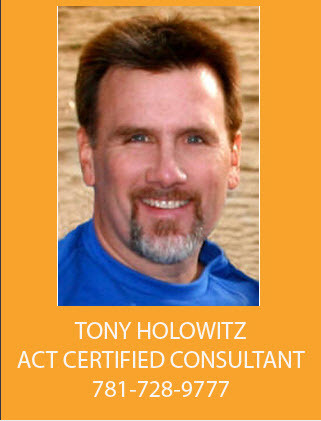 I'll give you 60 minutes of my time absolutely free, with no obligation, to discuss all of your Act Software questions.